The first lift of asphalt in the south parking lot and entrance has been paved. The first finishing coat has been painted in the retail and office areas inside. Security and fire alarm systems are being installed. The 52,000-square-foot store will mainly consist of retail floor space with storage and offices for the store’s operations team. The open floor plan will offer customers visibility throughout the sales floor to aid in finding what they need. 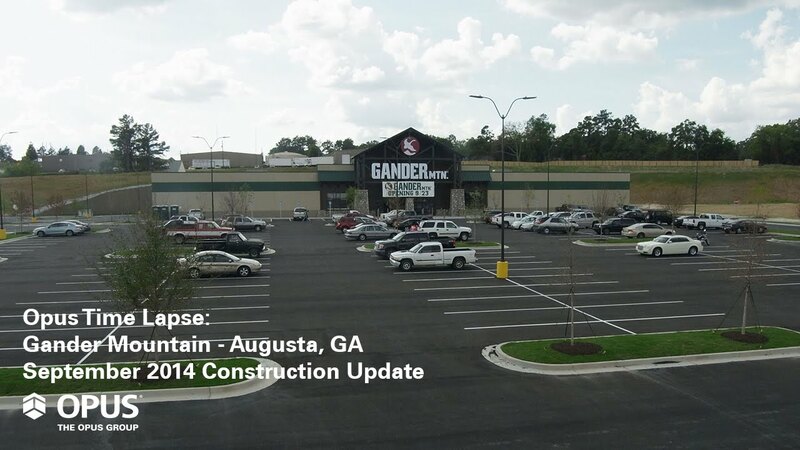 The store, part of a newer concept for Gander Mountain, has a smaller footprint but still maintains Gander’s “We Live Outdoors” philosophy. Filed Under: Client Direct Services, Retail Development & Construction, Opus Design Build, L.L.C.